Pure Original... Naturally Clean, Rejuvenate and Protect Your Skin! SMOOTHER BRIGHTER COMPLEXION - Pure Original believes in nature - our grapefruit scrub is loaded with antioxidants and Vitamins, such as Vitamin A and C which is proven to boost collagen, reduce age spots and leave you with a smoother, firmer complexion! NOT JUST A FACE SCRUB - our tested and proven formula is more than just a regular face scrub, it is also a body scrub! Prevents back acne, dry skin and sun damage! Enjoy the luxury of our enhanced face and body scrub formula and indulge today! SPA QUALITY - Pamper yourself in the comfort of your own home! Created with natural ingredients, vitamins salts and oils, allow yourself to relax while exfoliating your body! LOVE IT OR IT'S YOURS FOR FREE - backed by the Pure Original's Money Back Policy. If you don't LOVE it, it's yours for FREE! As your body's biggest organ, your skin requires a lot of upkeep. And the fact that it's sensitive to free radicals, toxins and sun damage doesn't make caring for it any easier. From wrinkles on your face to acne on your shoulders, no one product seems to do it all. 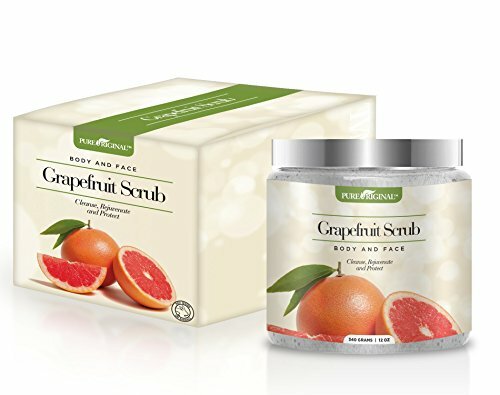 Pure Original's Grapefruit Scrub makes maintaining healthy skin easy and luxurious! Acne or breakouts? Our blend features potent ingredients like Jojoba Oil to cleanse pores and Sea Salt for a gentle exfoliation. Together they sweep away the dirt and dead cells that can buildup and cause pimples. Looking to achieve a firmer, younger-looking complexion? Grapefruit, Almond and Kukui Oil brighten skin, reduce inflammation, and kick collagen production into high gear! For head-to-toe defense, our formula features Avocado, Lemongrass and Sunflower Oil, known for their ability to fight free radicals, protect against sun damage and strength skin cells overall. 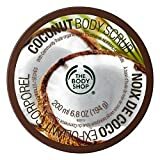 A scrub that offers great results and is safe for all skin types? It's all thanks to our natural ingredients! Some of the best vitamins, oils, and antioxidants team up to bring you a creamy blend that's your soon-to-be favorite. • Cleanses and exfoliates skin leaving you feeling refreshed and rejuvenated! • Firms and brightens complexion - look and feel younger! • Protects against damage - use before tanning to protect from sun damage! Try Today Risk-Free with Our Satisfaction Guarantee! Once you purchase, you are backed by the Pure Original Money Back Policy - So no Worries, not happy? No problem, you will receive 100% money back!